If you are in the market to sell your Wellington home, then home staging can be a crucial part of the process. Home staging is all about increasing the desirability of your home through helping potential buyers project their own life into the space. We know that when you stage your home, either in a full or partial staging, it can help sell your home faster, and for more money. The flip side is that home staging costs money – it is a premium service, where a bespoke interior solution is proposed for your home. Yet home staging doesn’t need to be a difficult process – and you can get the most out of it by asking your home stager these 5 simple questions. 1. What is your work experience? The first question you need to ask your home stager should be about their experience. 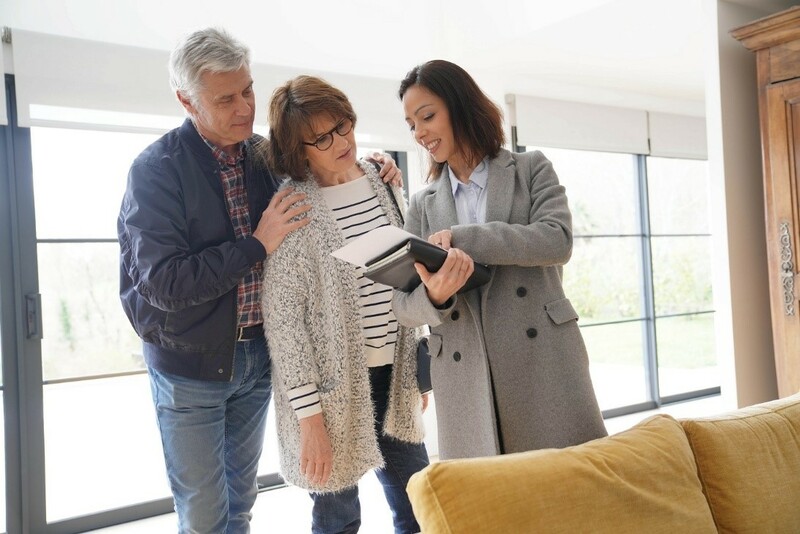 You need to know that the money you are spending on staging your home is well-spent with a home stager that understands and is up-to-date with the local real estate market. Ask for a portfolio of recent works – but we recommend keeping a close on eye on the more recent works. Enquire after them – a home stager is only as good as the last home they staged (and sold). 2. What are your rates and availability? The money and time question. This one is important to bring up during your initial consultation. Having clear expectations around how your budget can accommodate a full or partial staging, and what the timeline for the staging looks like will help both parties avoid getting burned. We believe home staging is a justified cost – it helps your home sell faster, and for a premium. Once you have an idea on your stager’s rates, and how it works for your budget, you’ll need to make this call yourself. If budget is tight consider a partial home staging – this can accentuate the positives and downplay negatives of crucial spaces like living rooms. A home stager confident in their ability will have testimonials and references from past clients. Testimonials are a rich source of information about the quality and style of your potential home stager. When your home stager provides these references or testimonials, you can be sure that they are proud of the work they do and their ability to get results. 4. What sort of style do you work in? How do you follow interior design trends? This is a bit of a trick question – there is a fear that, when hiring a stager, you condemn your home to being stylistically neutral (read: boring). There is an element of truth here – when staging, it is unwise to commit too heavily to one particular style. You want to invite potential buyers to project their own life into the home. But a good home stager will have a distinct artistic style that marks them out, and they’ll be able to leave their footprint on the home tastefully. This sense of style will be reflected in the art pieces they hang and even the pillows they accessorise with. It also important to have a home stager that understands design trends – so ask them how they keep up. You don’t want to be stuck with a home that looks like it was staged in 2009 instead of 2019. 5. What work do I need to do myself? Lastly, ask your home stager for an honest appraisal of what needs to be done by you. Your home stager at this point will have done a consultation at this point – so you should ask honestly if there are issues you need to address before the staging commences. This includes simple things like cleaning and polishing fixtures, through to bigger jobs like painting rooms or power-washing the deck or patio. Your home stager is an expert at making houses look presentable and saleable. They’ll be able to help you showcase the best side of your home, making it look inviting, spacious and liveable. Considering selling your Wellington house? Talk to HomeStaged today – the local experts in home staging. Help increase the sale price of your home and get a quote today for a partial or full home staging.